A product of the 2006 privatisation programme, the Port Harcourt based company commissioned its world-class fertilizer plant in 2016 as a statement of its readiness to propel industrial and agricultural sectors. According to the Managing Director of Indorama-Nigeria, Mr Manish Mundra, “since August 2006, IEPL has been supplying highly needed petrochemicals – polyethylene, polypropylene and PET (also called polymer resins), of different grades and variants to over 450 Nigerian companies spread all over the country. “All these efforts are aimed at boosting food production and food security in the country thereby alleviating hunger and poverty — which are among the agricultural transformation agenda of the Muhammadu Buhari administration. Newsverge recall that in 2012, IEPL won the Presidential Award for putting Nigeria on the global petrochemicals export map. Top government officials including ministers, regulators and members of the National Assembly have declared Indorama as a success story of privatisation in Nigeria, considering its numerous achievements that have helped to power Nigeria’s economy. 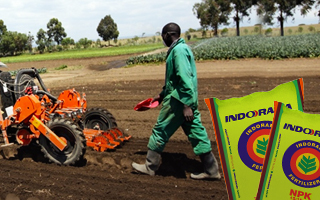 He noted that the Federal Government relies so much on Indorama fertilizer to realize its goal of bumper harvest and food security in the country. 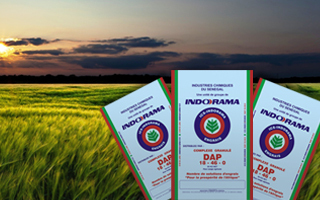 Indorama is a strong member of the Manufacturers Association of Nigeria (MAN). 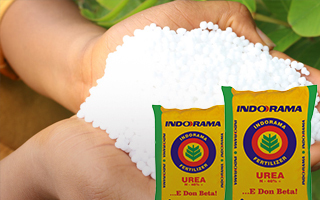 The immense contributions of Indorama especially in the areas of petrochemicals and fertilizer were proudly acknowledged at last year’s Annual General Meeting of MAN in Abuja, which was attended by President Buhari.